This table includes formal complaints of sexual violence and sexual harassment against students in Ithaca-based programs as defined by and resolved under the procedures set forth in Policy 6.4 prior to Aug 1, 2016. The Title IX Office plans to release similar data for the 2016-2107 academic year after all formal complaints are resolved. [*] The formal complaints listed above involve 31 complainants and 24 respondents, some of whom may be involved in multiple formal complaints. All of the respondents found responsible of sexual harassment were the subject of multiple sexual harassment or sexual violence complaints. For more information regarding bias incidents reported to the university, including the 134 reports of sexual and related misconduct in FY16, please visit https://hr.cornell.edu/our-culture-diversity/diversity-inclusion/harassment-discrimination-and-bias-reporting/bias-tracking. 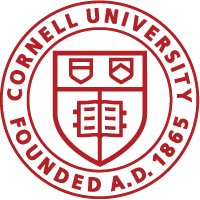 To see results and analysis of the campus climate survey on sexual assault and sexual misconduct conducted in the spring of 2015, please visit http://share.cornell.edu/cornell-data/2015-campus-climate-survey-on-sexual-assault-and-sexual-misconduct/.